In bookstores September 18, 2012. Published by The New Press. Available now on Amazon, Barnes and Noble, and Indiebound. And for Kindle, Nook, and iBook. — Alexander Keyssar, Stirling Professor of History and Social Policy at Harvard, author of The Right to Vote: The Contested History of Democracy in the U.S. 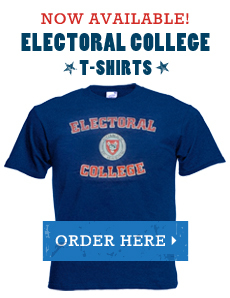 Imagine a country where the right to vote is not guaranteed by the Constitution, where the candidate with the most votes loses, and where paperwork requirements and bureaucratic bungling disenfranchise millions. You’re living in it. If the consequences weren’t so serious, it would be funny. A concise and lively overview of the issues surrounding voting in America, Electoral Dysfunction is the fact-filled companion to the PBS documentary starring political satirist and commentator Mo Rocca, the bookexamines a broad array of topics, including the Founders’ decision to omit the right to vote from the Constitution (and the legal system’s patchwork response to this omission); today’s battles over voter identification, voter impersonation, and voter fraud; the foul-ups that plague election day, from ballot design to contested recounts; the role of partisan officials in running elections; and the antidemocratic origins and impact of the Electoral College. Along the way we discover some astonishing facts, including that Founding Father Thomas Paine was once denied the ballot at a New Rochelle polling station, that men who voted for Obama in 2008 experienced a notable surge in testosterone upon learning of his victory, and that America’s greatest inventor, Thomas Alva Edison, was issued his first patent in 1869 for the Electrographic Vote Recorder, only to be rebuffed by uninterested members of Congress. The book concludes with a reflection on how to improve the health of our voting system crafted by a leading voter registration and youth voting expert, Rock the Vote’s President Heather Smith. Written for readers across the political spectrum who want their vote to count, Electoral Dysfunction promises to enlighten even as it surprises and illuminates. 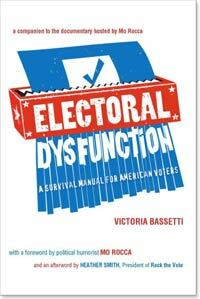 Victoria Bassetti is the author of Electoral Dysfunction: A Survival Manual for American Voters from The New Press, published this fall. She spent eight years working in Washington, DC, most of them on the Senate Judiciary Committee where she was a chief counsel and staff director for several of its subcommittees. During her time in DC, she worked on the Clinton Impeachment trial, helped write the September 11 Victims’ Compensation Fund, the PATRIOT Act, bankruptcy reform legislation, and the Economic Espionage Act. 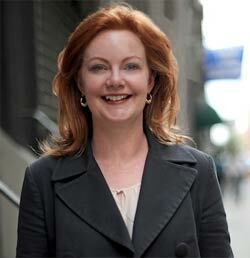 At one point she went marijuana farm hunting in the Appalachians with a Special Forces Team from Fort Bragg. She has also worked on several campaigns—from Louisiana to New Hampshire—and on election protection teams. After leaving DC for New York in 2003, she began working in the music industry, where among other things she helped decide how large a banana Katy Perry should emerge from for her 2010 Grammy’s performance. Electoral Dysfunction is her first book.